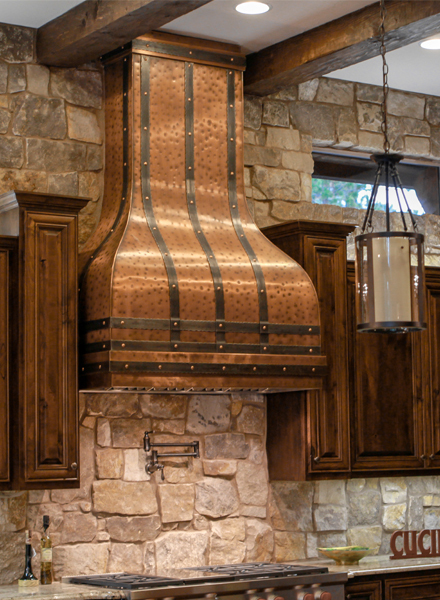 Camillia Copper Range Hood III - Art of Rain / Handcrafted in USA. 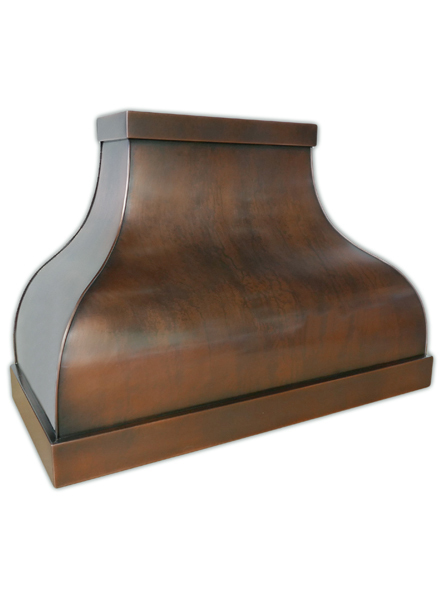 This gorgeous, classic Camillia Copper Range Hood III design is an instant conversation piece in any kitchen. 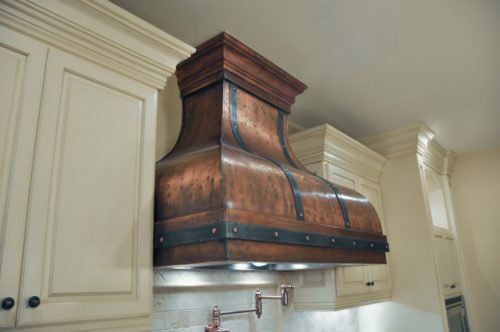 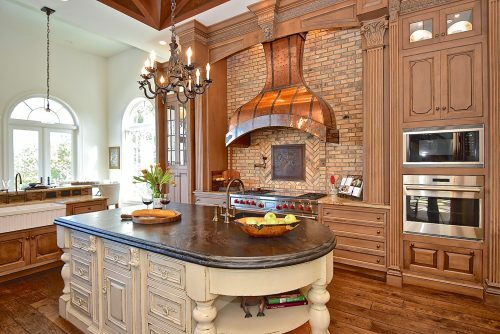 Smooth copper patina and iron accents are all the right ingredients for a rustic range hood. 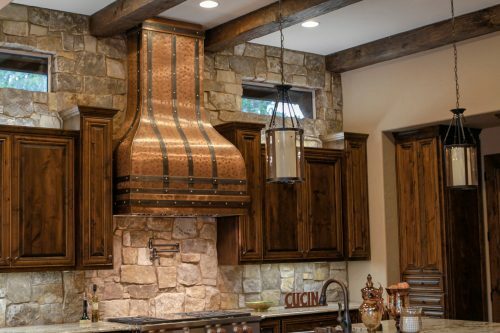 Beautiful copper patina surface is easy to maintain and will hold its color for years of enjoyment. 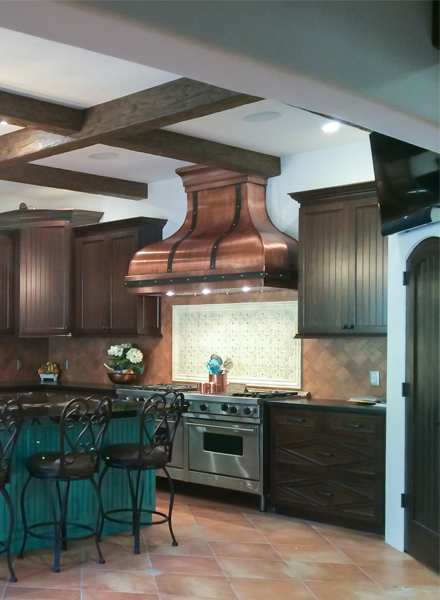 All straps are fastened with copper rivets and handmade copper buttons. 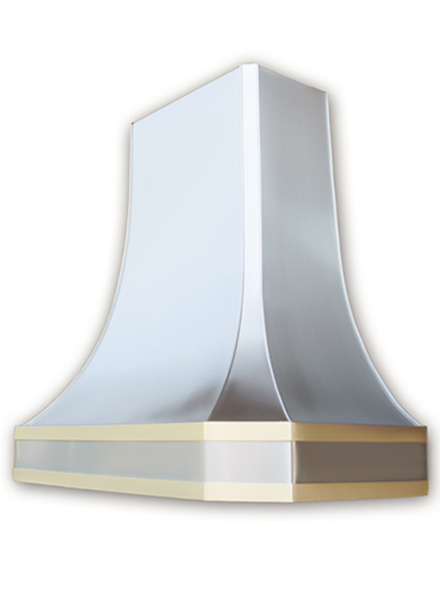 Each range hood can be exhausted through the top or out the back. 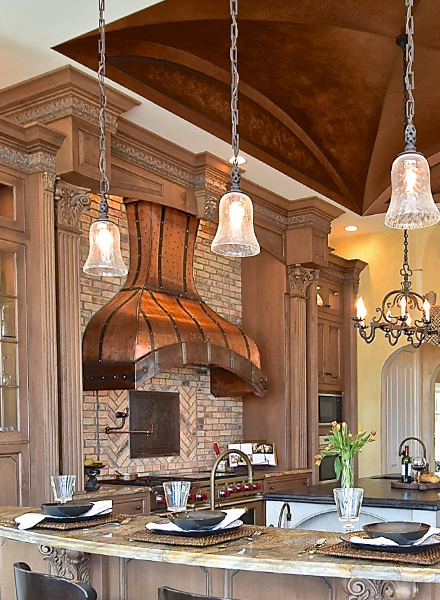 26" (8ft ceiling)28"30"32"34"36" (9ft ceiling)38"40"42"44"46"48" (10ft ceiling)50"